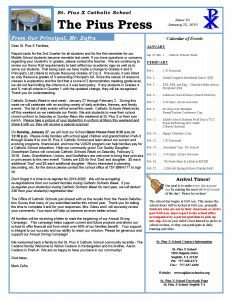 Catholic Schools Week list of activities. February Milk Order Form. Please return order form and payment by Friday, January 25th. Lunch order forms for the week of January 28th. Order form and payment is due by NOON on Friday, January 25th. Catholic Schools Week 2019 Student Art Show. 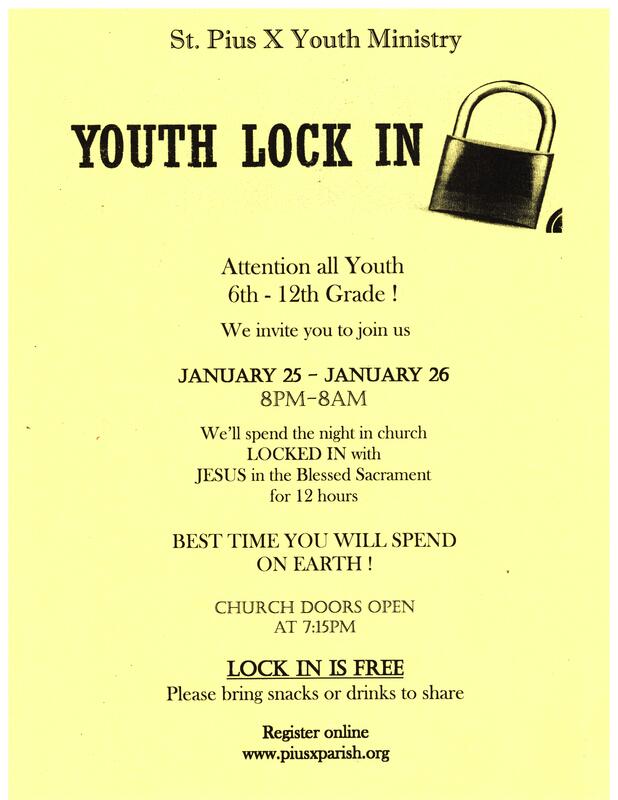 St. Pius X Youth Ministry Youth Lock-In. 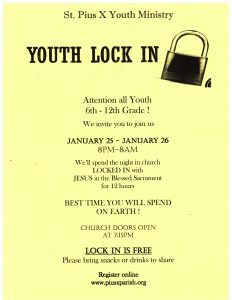 Grades 6th-8th. Lifetouch Class Pictures, Wednesday, February 6th. Payment for class picture must be received by Picture Day! Valentine’s Day Candy Grams. 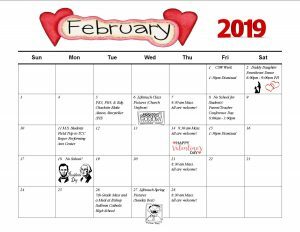 Orders due by Friday, February 8th. 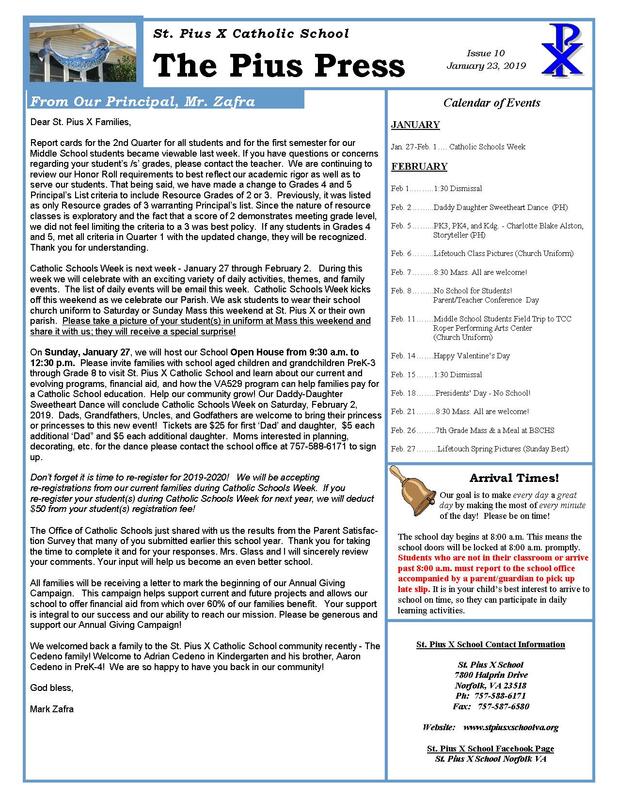 This entry was posted in Communique 2018 on January 23, 2019 by St. Pius X School.